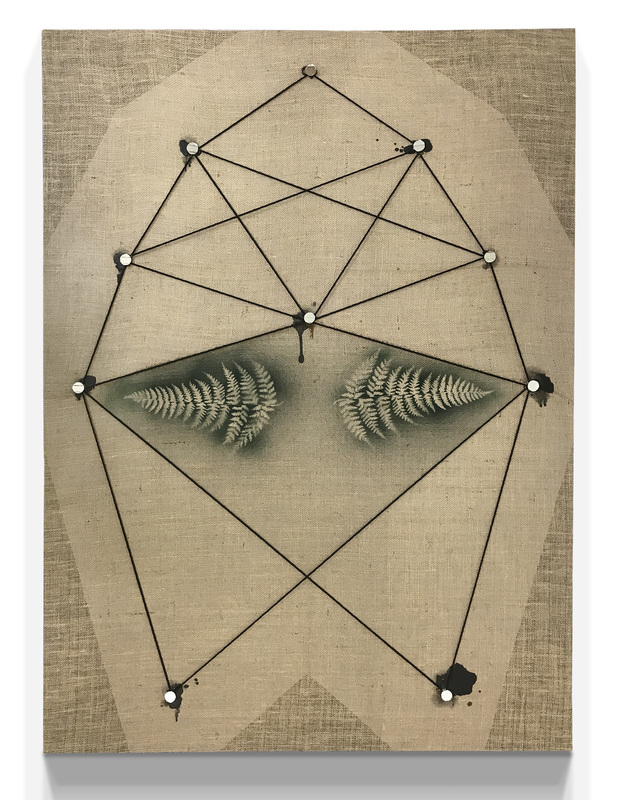 Conceived as altarpieces for performing magic rituals by characters in Steven L. Anderson’s short film “The Dynamic Ground” (2017), these mixed-media paintings serve as person-sized sigils for integrating one’s consciousness with nature. 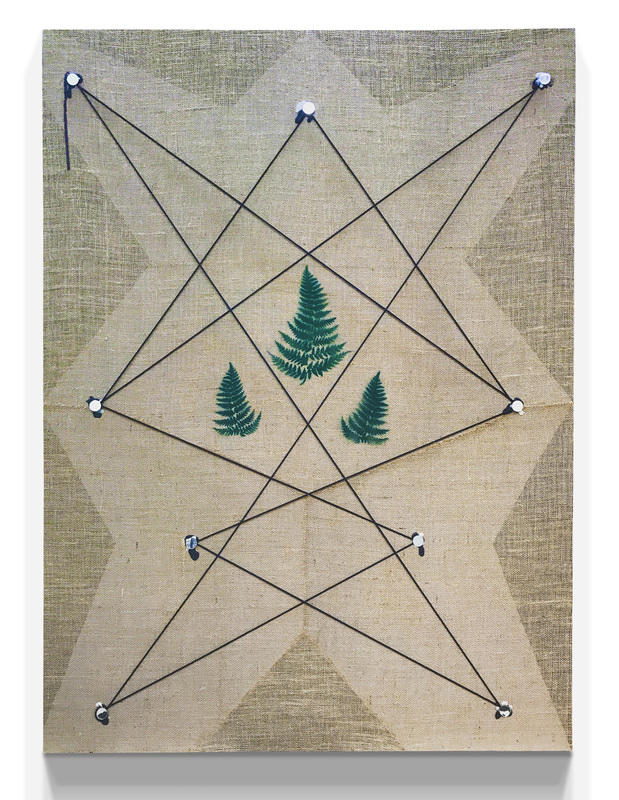 “Thinking Like a Mountain #1,” 2017, paracord, mirrors, spray paint, wax, pine sap, burlap, latex paint on panel, 64in. x 47.5in. “Thinking Like a Mountain #2,” 2017, paracord, mirrors, spray paint, wax, tiger balm ointment, burlap, latex paint on panel, 64in. x 47.5in.